Where else in the world are people mobilizing on this scale, with this efficiency for the cause of liberty? Where else can defendants in an entire state reasonably suspect that the jurors sitting on their case will have been made aware of the idea that they can judge not just the facts in the case, but whether or not a certain law is just in the first place? Is there a better place in the world to practice civil disobedience? A better place to pool activism to have a greater cumulative effect? 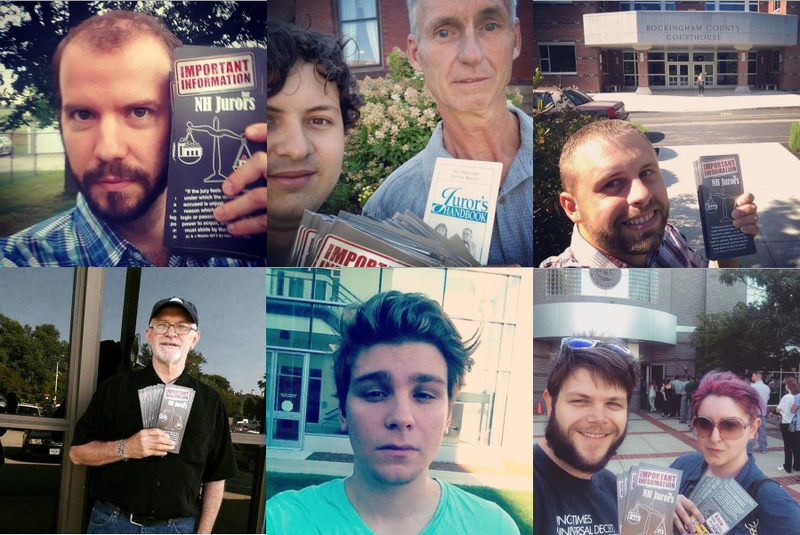 While people in Denver are being arrested for jury nullification outreach for so called “tampering,” the activist movement in New Hampshire only continues to gain steam. If you’d like to be a part of the jury nullification outreach effort, we’d love to have your help. Rights Brigade has created a handy calendar with all of the potential jury outreach opportunities for the rest of the year on it, and we’ve got some exciting plans in the works for nhjury.com. The free state project is really picking up momentum. Every little bit helps. Thanks for sharing. We’re doing our part to turn the tide in the struggle against victimless crimes. A compelling reason to move to New Hampshire: this wouldn’t happen here.